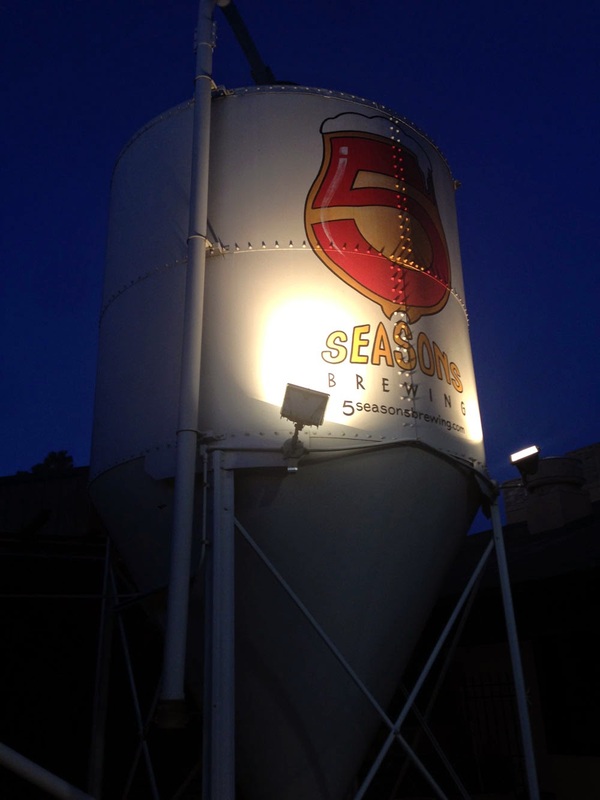 5 Season's Brewing is located at 5600 Roswell Rd, Sandy Springs GA 30342 at the Prado (this is right off I285 at Roswell Rd, inside the perimeter). 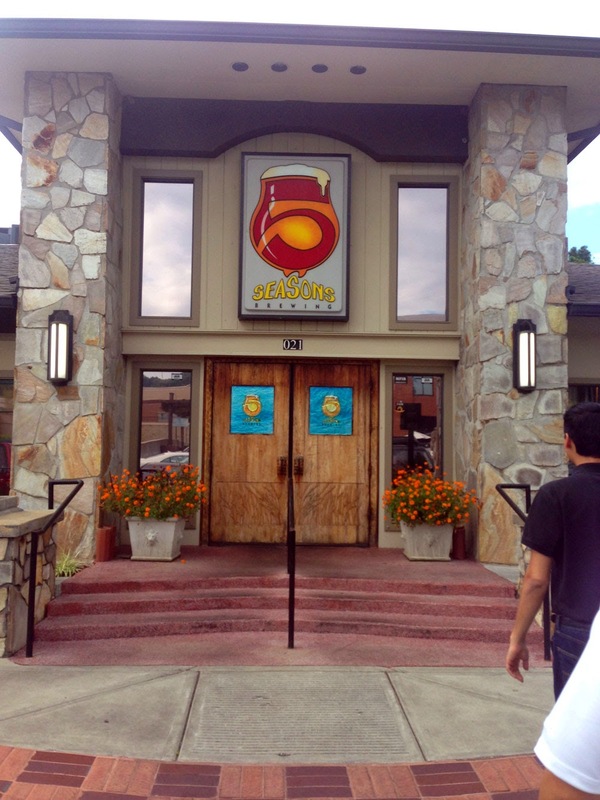 This is an active brewery with a good handful of lagers, Belgian ales and seasonal brews, along with above-average food. 5 Season's Brewing arose from the ashes of the defunct Phoenix Brewery (see what I did there?) in 2000 or so. 5 Season's was co-founded by the former Sweetwater brew master Kevin McNerney and Dennis Lange. After issues with parking when the Prado expanded and made room for Target, the partners split and Dennis opened Southbound in Chamblee (you may remember Dennis from Yakitori Den-Chan in Buckhead - also, I reviewed Southbound on my blog last year). I don't remember much about Phoenix back when it was in business - I ate there twice from what I recall, both times meeting people for lunch and apparently it wasn't very memorable. 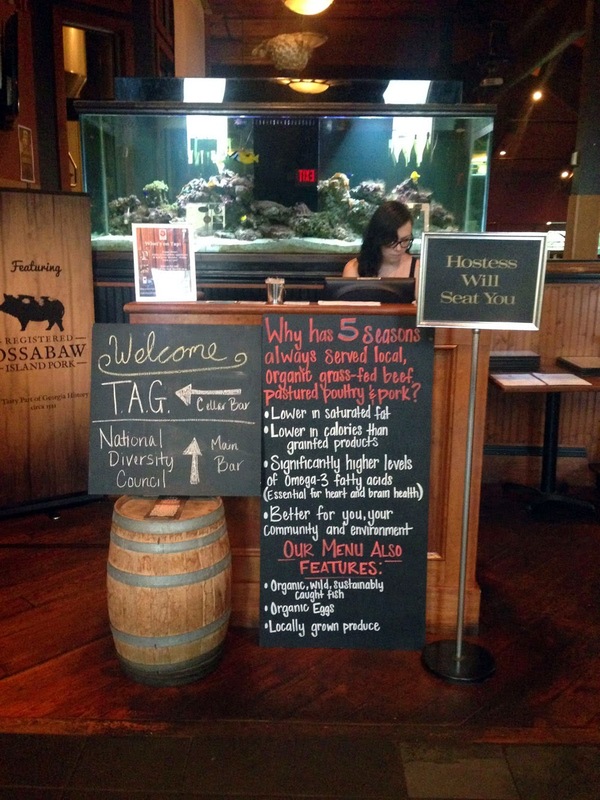 5 Season's basically took things to the next level and included a much better menu. I've since eaten there about a dozen times, most often for various Technology Association of Georgia events (they have a great private room that they section off - it has it's own bar and a pool table) and other technology group meet-ups. 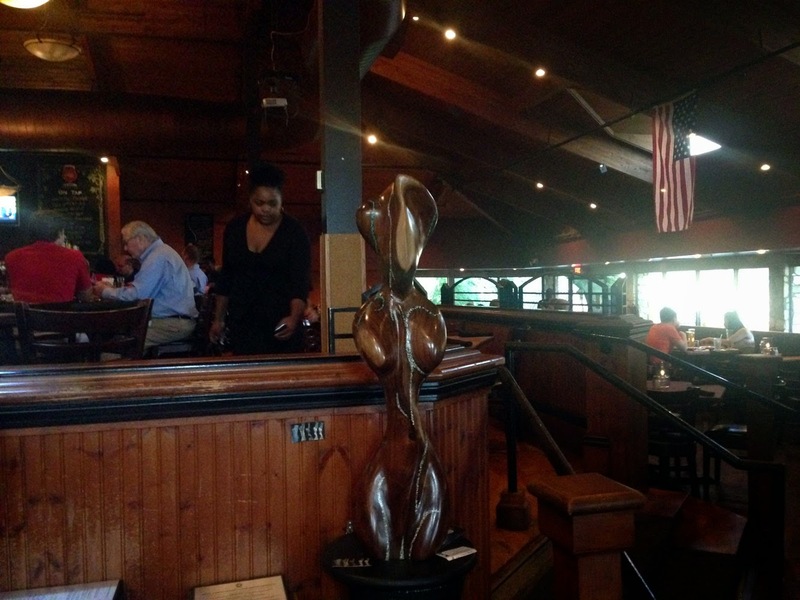 The location is fantastic, even with the horrendous Roswell Rd traffic (mostly since it's only 2 blocks from I285). 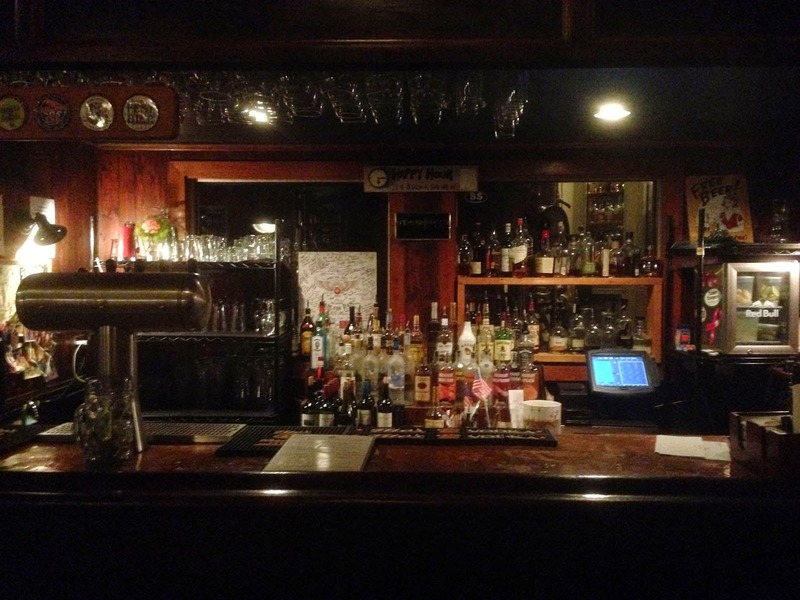 Interior is all wood and very open in the main bar - I like the ambiance quite a bit. The service here is very good and while I've had much better beer, they have some selections that are more than palatable - my favorite is their hoppy IPA - "Hopgasm" which even the most discriminating beer snob will find above average. Of course with all things, since Dennis left it's gone down hill a bit (at least that's what seems to have happened comparing before and after). Parking has been fixed with the addition of a new parking deck so now there's parking everywhere. It still doesn't appear to get as crowded as it did in the past - also, I think the food is of less or cheaper quality than before. I think it's still good and above average - it's certainly better than Gorden Biersch (for some reason all the lagers GB is famous for taste flat and lifeless to me). 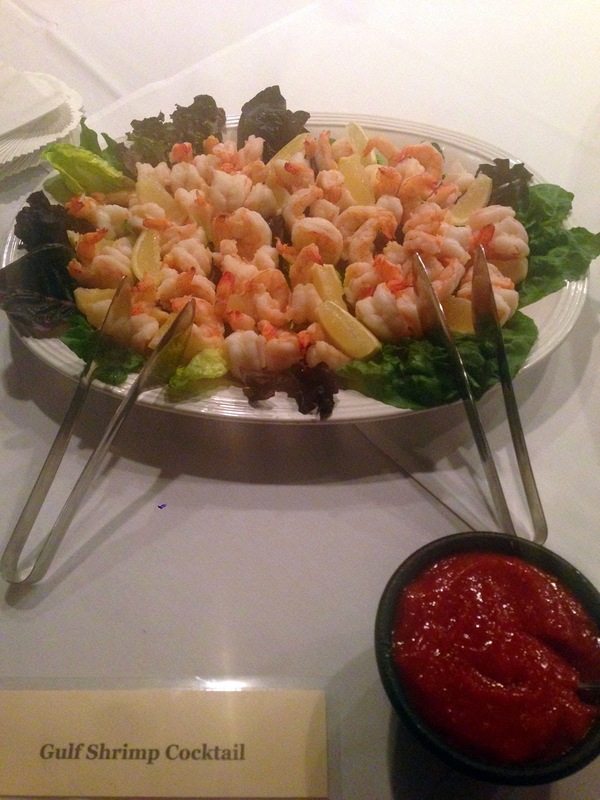 I've had a bevy of snacky foods at various events - here's a mess of photos from several. 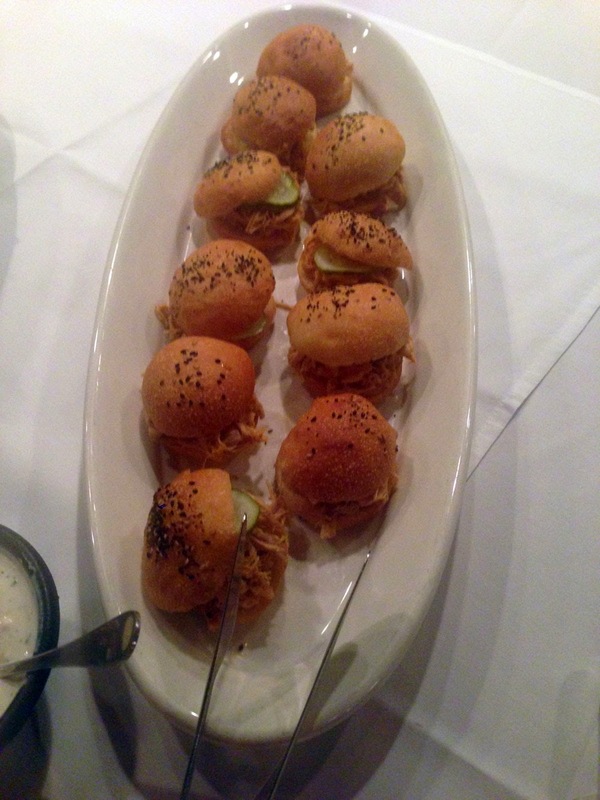 BBQ Chicken Sliders - nothing special about these but they are filling. 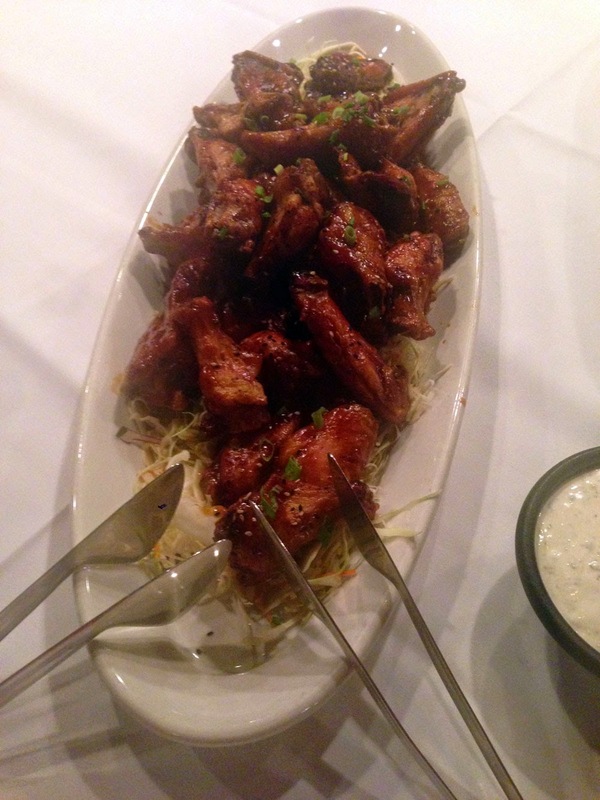 Buffalo Wings - good wings that could be hotter (as can everything, right?). Not a bad dish to share with the table) but for better wings, go to Taco Mac. 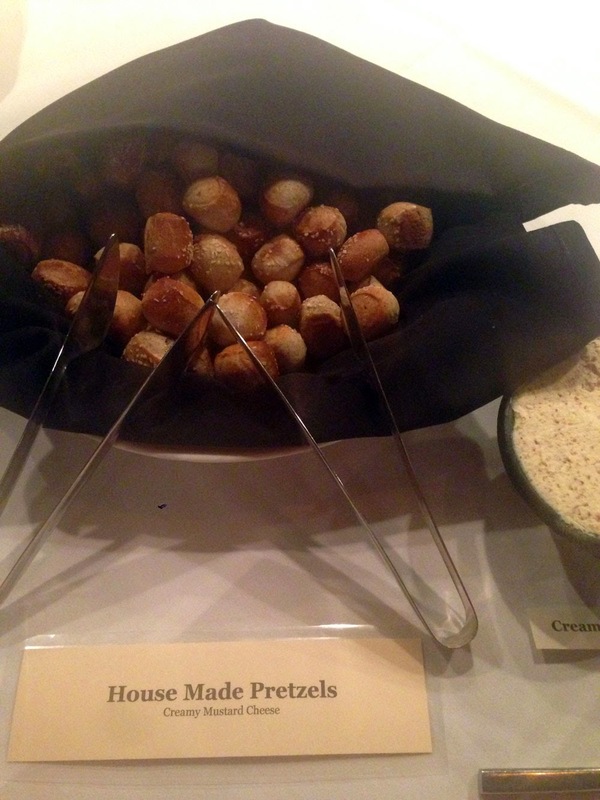 House Made Pretzels - these come with creamy mustard sauce. 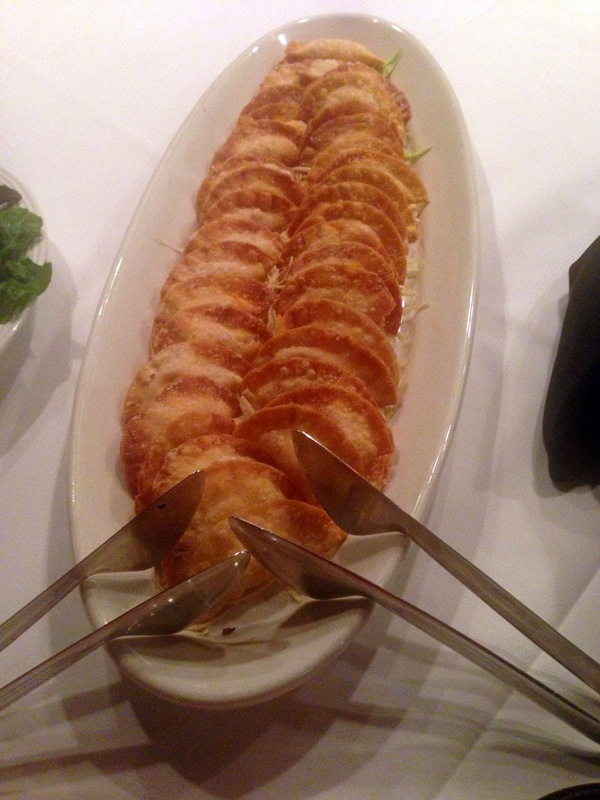 Fried Wontons - not bad but will give you onion breath. Cocktail Shrimp - boiled, peeled and ready to eat with cocktail sauce. Spanish Grass Fed Meatballs - very meaty and if you're into ground meat (which I am) very good! Beer cheese soup - good but not the best I've had. That being said, it's not drowned by something stronger as many places tend to do. I'd call it above average and a good way to start dinner. Lamb Curry Tacos - good but not great - I think they need to be spiced up a bit or served with something more acidic to offset the some of the other flavors. Organic Brisket Reuben - This is a good Reuben - order a side of spicy mustard instead of the Russian dressing and you can thank me later. Georgia Organic Grass Fed Beef Burger with fries - a good standby if you can't find anything else on the menu enticing. Ropa vieja - A bit disappointing - maybe because I've had this dish in some great Miami restaurants. But don't take my word for this one - as the tomato isn't my favorite (I tend to go with the Vaca Frita if it's available). 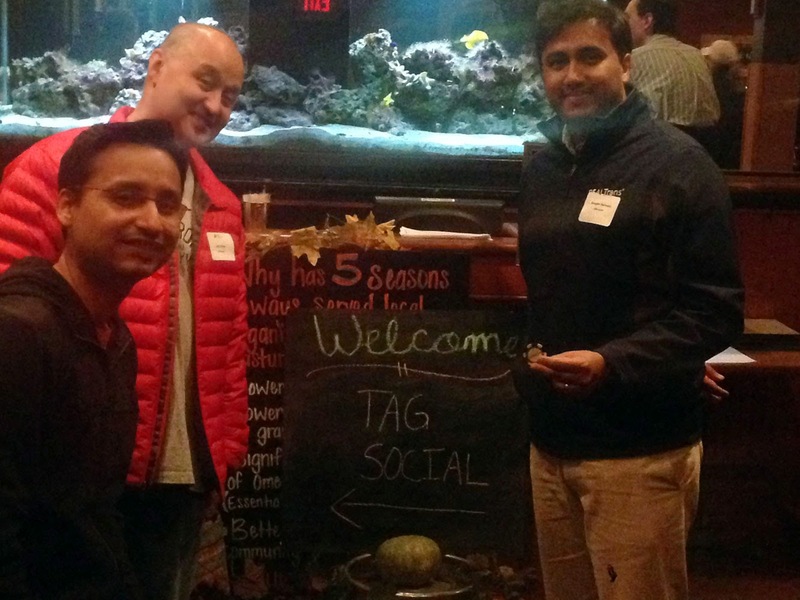 In general, the is a fun place to meet with friends or for events as it can accommodate very large groups. The beer is good and they have ales on the menu which fit into what beer drinkers seem to want these days (more so than the lagers you find at GB). The food is above average but not great so this isn't a place I'd take a date. For a phenomenal beer selection and worse food, go to Taco Mac; for a phenomenal beer selection and very good food, head to World of Beer. For decent beer (but not much variety) with good food, 5 Season's fits the bill.